Description Welcome to Berzerk Land! 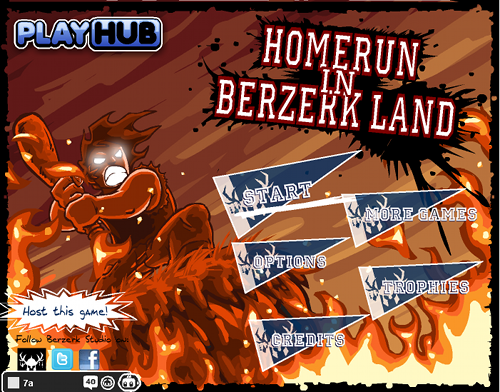 It's play ball time and the Berzerk Crew is ready to teach Comeau the nerd a good lesson! Bash the hell out of this geek all the way through Berzerk Land, earn money to buy new gear and gain experience to increase the power of your character! Rack up big scores, submit them and show the world what you've got! Wow! The best game ever! Waiting so much for second part!